Time to time…. maybe late night in bed, changing appliances, waiting for a checkup, or even when doing nothing else… your eyes flicker as your idle mind begins to wander the Seas of Self: Why do I allowing this condition to undermine my self-confidence, my well-being, my relationships? 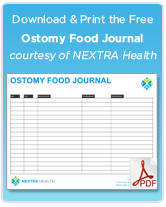 Why does everything about Ostomy have to be so boring, serious and medical? Let’s talk about Ostomy bags as a product for a minute – the logic that ostomy appliances must look and feel “medical” seems to follow the same pretentious logic that a police car looks impressive with 500 flashing lights attached to it (resulting in pointless, nightclub-esque epileptic-nightmare light shows every time they pull someone over); or anything regarding government is extra important by slapping an official-looking circular seal on it (eagles, stars, and flags, anyone?). Rarely do we ask – why are these things the way they are? Obviously, making an ostomy pouch “look good” has zero affect it’s practical medical purposes. Making pouches “pretty” adds even more choices in the already overwhelming pool of possibilities in ostomy appliances, not to mention driving prices up while doing nothing to improve care. But the fact is we’re people, and personal worth and aspirations in life are not always purely utilitarian like an ostomy pouch is. We like style, we like comfort, we experience a neverending buffet of feelings, thoughts, emotions in our single shot at life. And we do not want to spend the majority of our short time here focusing on the insecurities or negative feelings towards our medical condition. We desire to live life pursuing goals, influencing & improving on the lives of others. And when you focus on the bigger picture and away from the self you begin to explore what you are truly capable of! What does it take to pick yourself up off the floor, recover confidence, and/or start doing the things you keep telling yourself you’ll do? Ostomy pouch covers have helped many Ostomates with both practical needs as well as their personal mindset of having an Ostomy. Something as simple as a pouch cover worn over an Ostomy appliance helps boost confidence by concealing the appearance of the Ostomy collection pouch and eases the tension many feel during, say, intimate encounters. Ostomy pouch covers also serve many practical purposes, for instance, the soft cotton fabrics eliminate the uncomfortable “plastic” feeling of the pouch that generates heat and sweat or irritates the skin. They can also help support the weight of the appliance as the bag begins to fill and keep clips tucked away with drainable collection pouches. And, with those practical uses aside, an ostomate may choose to use a pouch cover for the same reason someone wears a hat, buys a nice watch, or why kids like to color casts on healing bones – it takes a lighter tone to one’s more serious condition, and many times it simply looks nicer. So no, your ostomy pouch doesn’t have to look medical. And if this helps you feel better about yourself, your activities, and your life style, by all means wear it and wear it proudly. Express yourself freely and without shame or fear. 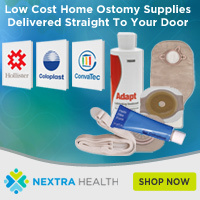 You can find Ostomy Pouch Covers in sets of 6 on STLMedical.com.